Do not miss your moment with a romantic dinner at the Bali Zoo, pampered with some attraction such as fire dance show, hand feeding the elephants and animal encounters, so that your dinner very memorable and enjoyable. 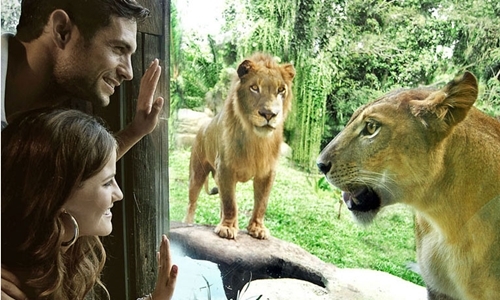 Enjoy your holiday with explore Bali Zoo to see variety of animals from Africa and south America which is a lush tropical garden with an area of 12 acres. Note: long trek – without zoo admission. Inclusion: Return Transfer, Elephant Ride, Zoo admission, lunch, hand feed the elephants, animal encounters, animal show, souvenir and insurance.